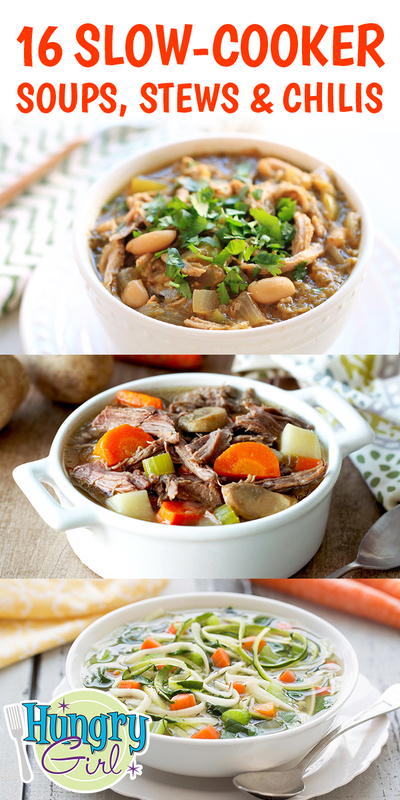 If you want to chill (as in "relax") but also want to have no chills (as in "not be cold"), you need this list of slow-cooker soups 'n more in your life. We’re counting down 16 of our favorites: brothy soups, stews, chilis, chowders, and more! Grab a ladle, and GET COOKIN’. Sometimes, you don't want any bells and whistles. You just want DELICIOUS veggies, broth, and maybe some chicken too. Here are a few super-popular variations! Stew is basically soup that eats like a meal, and these recipes DELIVER. Hope you’re hungry! The saucy and sassy sister of stew, chili is a cold-weather essential. (Just like a really big scarf, or a hat that's way more warm than it is flattering.) Whether you like yours chock full of veggies or omnivorously delicious, we’ve got you covered. Tomorrow, December 8th, is National Brownie Day! Celebrate a day early with a batch of Winter Wonderland Brownies! Start a soup party! Click "Send to a Friend" ASAP!